Spot the Difference: Can you target fat loss where you want it most? How do you assess your progress? Do you look down at the scales or see how much extra space has been left behind in your jeans? When it comes to crunching the numbers, we’ve talked a lot about whether you should judge your results by the amount of weight you’ve lost or by how much your body fat percentage has diminished. From bingo wings to love handles, there are plenty of poorly-named areas that people trying to trim down often wish they could have more control over. So, in our quest to find answers to all things weight-loss, we put the research to the test to determine once and for all, can you target fat loss to specific areas of the body? In either case – or more likely, a combination of both factors – the chances are that you’re reading this because the fat is sitting there and you want to do something about it. Although there are more than two schools of thought on the matter, the ‘spot reducing’ arguments basically boil down to two categories. Obviously, these are over-simplifications, and simple science doesn’t quite cover it for us. So, we’re going to need to weigh up both cases and see which comes out on top. Now, this can be a good thing. 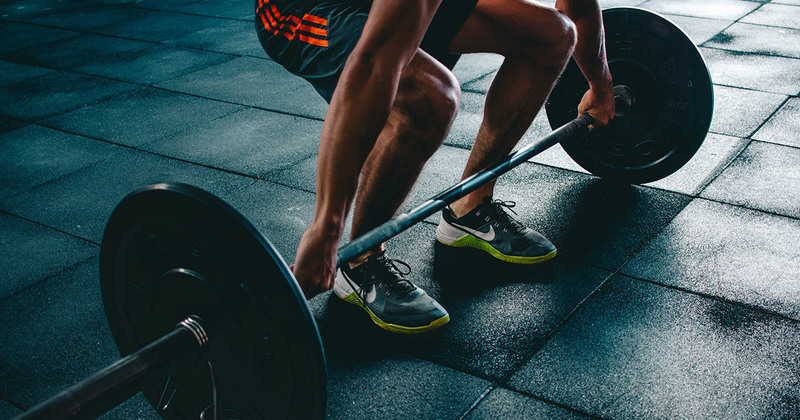 As Kahan points out, “‘You can’t do more squats and expect to lose weight around your thighs.’ In other words, the proximity of fat to the exercise you’re doing doesn’t matter.” However, that means that you can keep your training varied and interesting, and still get results. Trimming down on your chest? Get on an exercise bike. Stubborn belly fat? Do some leg weights. Despite the Schwarzenegger approach seeming to work for elite bodybuilders who wanted their abs to shine through, “One study in 24 people who only completed exercises targeting the abdominals for six weeks found no reduction in belly fat.” The difference? Those 24 people were not professional bodybuilders trying to break themselves down to as close to zero percent body fat as humanly possible. Move over portion control*. This is proportion control! This approach is like dressing for your body type. You’re working with what you’ve got and creating the appearance of a more toned physique. If you’re carrying extra weight around your hips, try to build your upper back for a more V-shaped torso. Similarly, the fat forming your bingo wings might not be going, but a bit of added muscle will start to inflate those arms nicely. Theoretically, if we’re open to the idea of targeted toning, then surely spot reduction is back on the table? Based on this system, each problem area can be linked to a specific hormonal imbalance. For example, issues around the belly region are likely to be due to cortisol and testosterone troubles can turn pecks into moobs. What happens if the hormones are all in check and you can’t blame insulin for that extra fold of skin around your love handles? In a roundabout way, what we’re saying is that the tried and tested method is your best bet: a healthy nutrition plan and regular exercise. With that in mind, the real formula for achieving your goal is quite obvious: make healthy dieting and exercising into habits, and let Modius help you gain control over your cravings. That way, the whole process is on your terms and that next milestone will be all-the-more rewarding.